The International Ski Federation (FIS) has now approved the programme of 21 events for the World Ski Championships in 2011. FIS has also decided to approve the fourth Nordic combined competition (normal hill ski jump and 4x5km cross-country), which will make these World Championships an even better spectacle for the public. Åsne Havnelid, CEO of FIS Nordic World Ski Championships 2011 is very happy. “It is tremendous that the FIS Council has now decided the final programme of events. 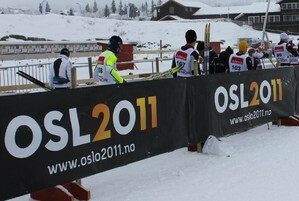 We are also very happy that there will be a fourth Nordic combined event. Nordic combined is a discipline that has a long tradition in Norway and I believe this new team event is something the public will really appreciate,” says Havnelid. “We now have a very exciting competition programme, with a good distribution of exciting events every single day throughout the World Championships period,” she continues. She believes the public can really look forward to eleven wonderful days in the winter capital of the world. “The competitors are looking forward to coming to Holmenkollen and meeting the Norwegian public, who are known for cheering on all nations and valuing good sporting performances,” says Åsne Havnelid.